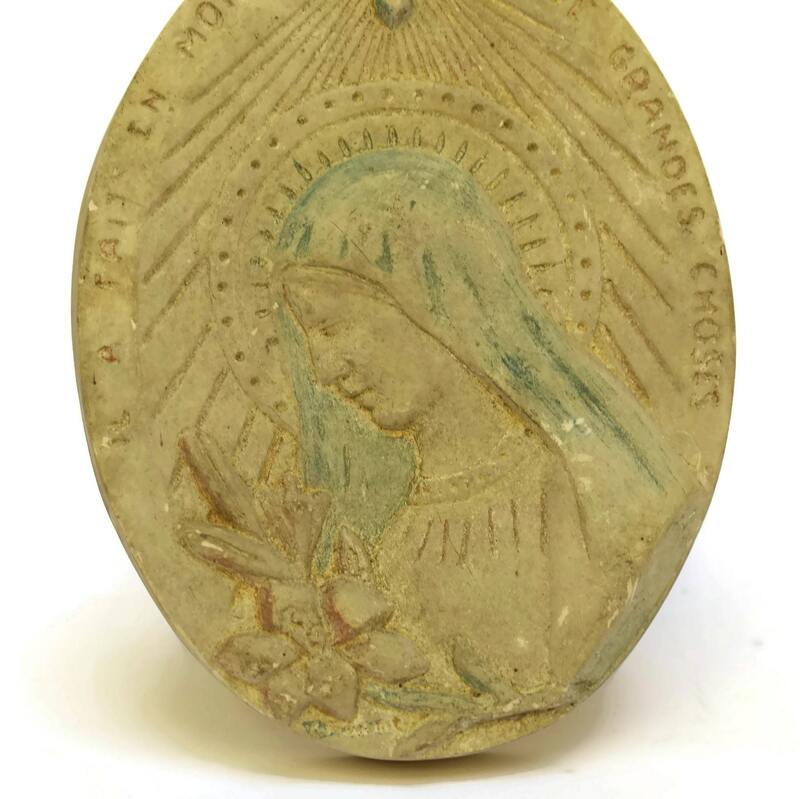 French Antique Virgin Mary Religious Wall Hanging Plaque. Christian Home Decor Wall Art. 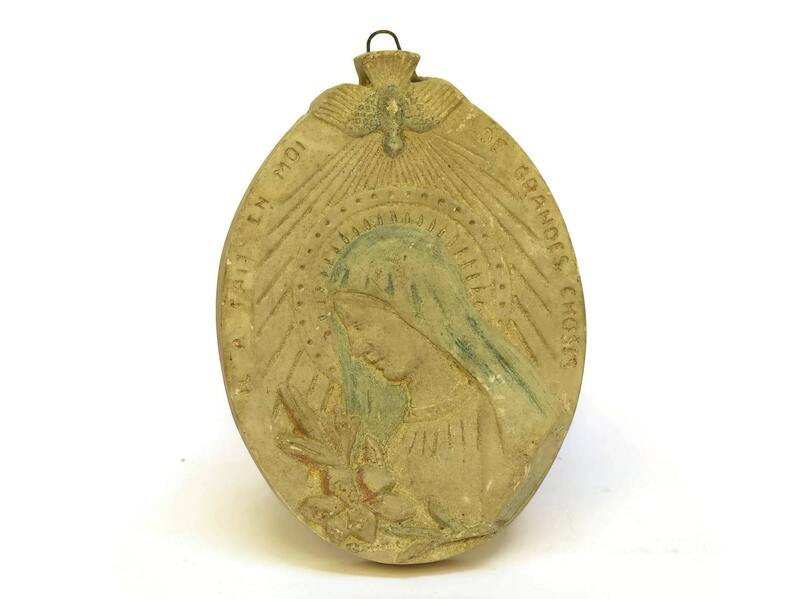 A beautiful antique French religious wall hanging dating to the early 1900s and featuring an image of the Virgin Mary. 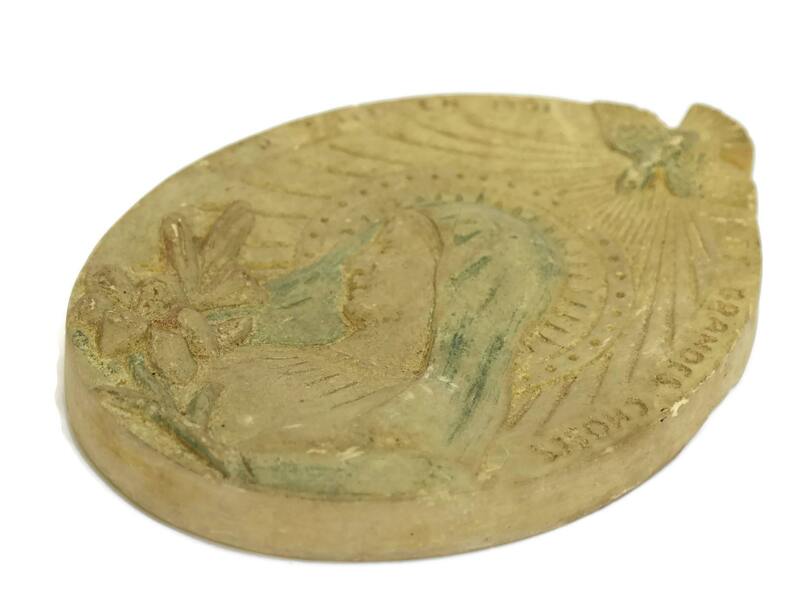 The plaque has been created from cast plaster with a raised portrait of Mary with a bouquet of lillies. "Il a fait en moi de grandes choses". The portrait of the Virgin Mary has been hand-painted in places in blue and pink. It has the cast signature of the artist at the base. 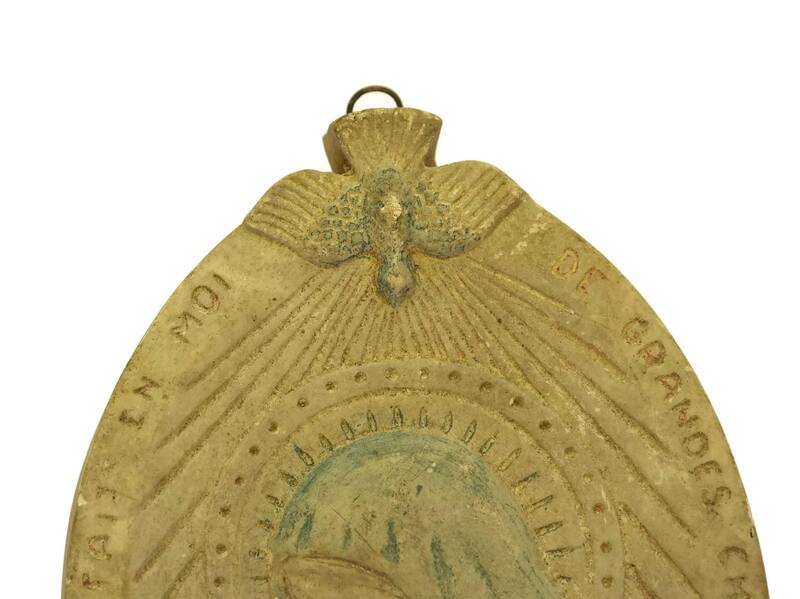 The reverse side has a small hanging ring and has a handwritten message and date of September 1910. 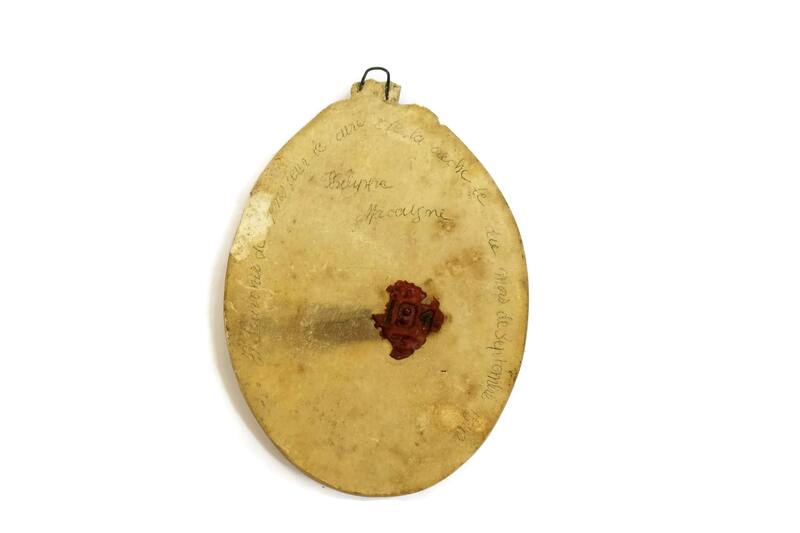 There is an original red wax seal from the Catholic church. 6 1/2" Tall x 4 1/2" Wide (16.5cm x 11.5cm). The wall hanging is in good antique condition with signs of age including patina, small flakes and wear to the surface. There are chips to the underside.